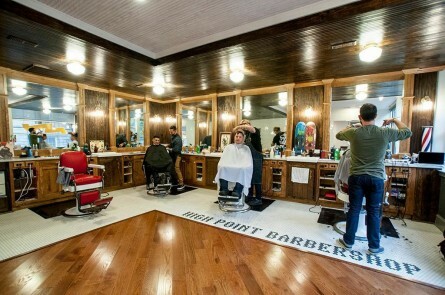 High Point Barbershop on Ledbury's blog — Campfire & Co.
We are thrilled to see the success of High Point Barbershop and Shave Parlor’s grand opening and first few weeks of business! After operating out of Shockoe Denim’s storefront in downtown Richmond for nearly a year, the group was ready to open their own brick and mortar location. 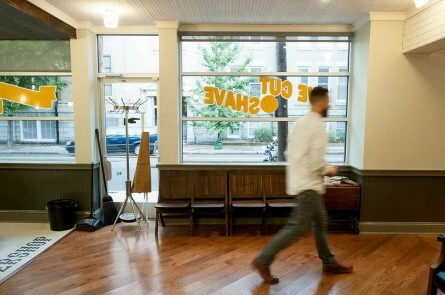 Campfire and Co worked closely with the great guys behind the shop to design and plan a classic yet modern and inviting space for men to get a high quality haircut and shave. Recently, Brian McDaniel at Ledbury wrote an awesome post on their blog about High Point’s new space noting that, “It’s inspiring to see the dedication that the team is putting into their business and the city. It’s easy to stand behind a group of people with that level of work ethic, attitude and authenticity. High Point is still young, but it feels like they will be incredibly successful.” We couldn’t agree more. Check out High Point Barbershop’s website for details on making an appointment.